Let’s get one thing out of the way first: sharks are cool. This website is rather cool too; it’s clean, fast and informative. I appreciated the fact that I could view the profiles of the best writers, but didn’t get a good impression from them. 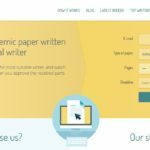 These are freelance writers that complete projects from all categories, so you can see one writer working on orders from the fields of statistics, philosophy, literature and history at the same time. Bottom line, I didn’t expect a professional approach for the book review I needed, but still ordered it because I wanted to give a chance to a service with such a cool name. 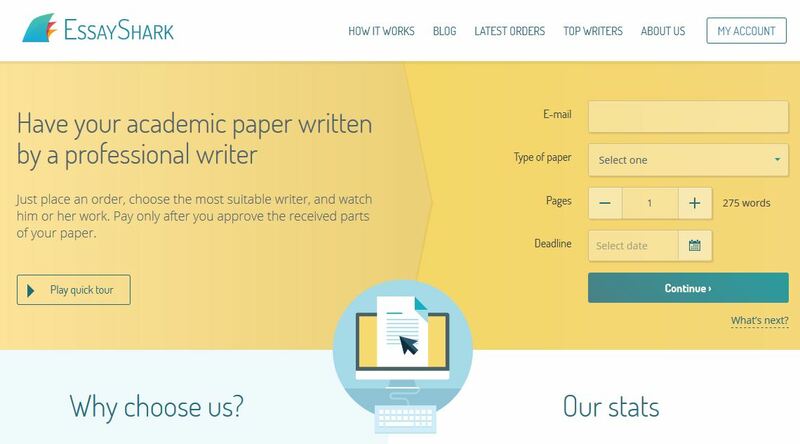 There isn’t a clear list of services provided at EssayShark.com, but you can order any academic essay. I wouldn’t recommend choosing this website for serious projects such as research papers or theses, because the writers aren’t qualified enough to work on something more complicated than essays for high school and college. There isn’t a set price chart at this website. The ordering process works on bidding, so you choose the writer who makes a bid that works for you. I didn’t go for the lowest bid because I didn’t want to make such risk, so I chose a writer who seemed serious and had completed over 50 projects in the area of literature. The price I agreed upon was $15 per page, which was quite affordable. The personalized approach of this service enables you to choose the price you want, so there is no need to apply a discount in order to make it cheaper. In simpler words – you choose the cheapest writer if you want the most affordable price. Too complicated for my preference. First, I placed the order and waited for the writers to bid on it. I contacted few of the writers to ask for their background and experience in writing literature reviews and chose one with college education (comparative literature major). I could have asked for a preview from each writer before making my choice, but that would complicate and prolong the procedure even further. The company says that you can monitor the progress of your order, but that didn’t happen. The writer was not willing to communicate much, but had to answer some of my questions because the payments were processed after I approved each part of the order. I waited for 7 days for the first version of my book review to be ready. The process went on and on, and I had to ask for three revisions before I got a satisfactory paper. All in all, it took twelve days before I got the final version ready. I knew exactly what I wanted to receive and was persistent enough with my requirements. Still, the book review was nowhere near perfect and only got me a B. EssayShark.com is not an effective service, no matter how affordable price you can achieve through the bids. I have ordered many book reviews at different websites and this one was among the worst ones I’ve received. The nerve-wracking procedure didn’t result with a successful outcome.